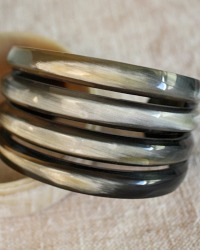 Part of our Well Traveled Heritage Collection, the cuff was cut into 4 bands on the top . 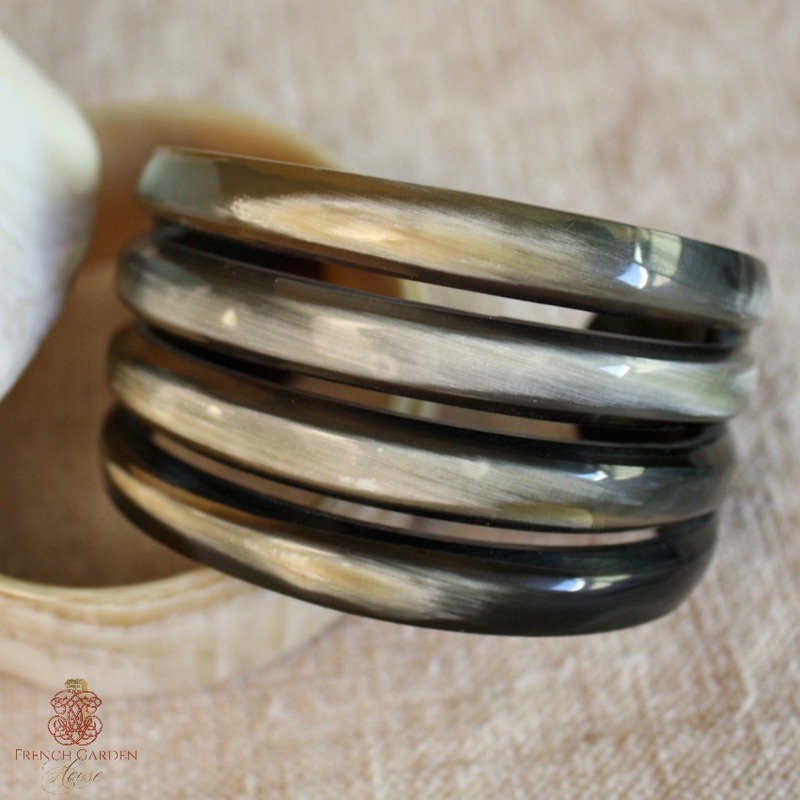 Discover this one-of-a-kind work of natural art that captures your elegance and out-of-the-ordinary style. 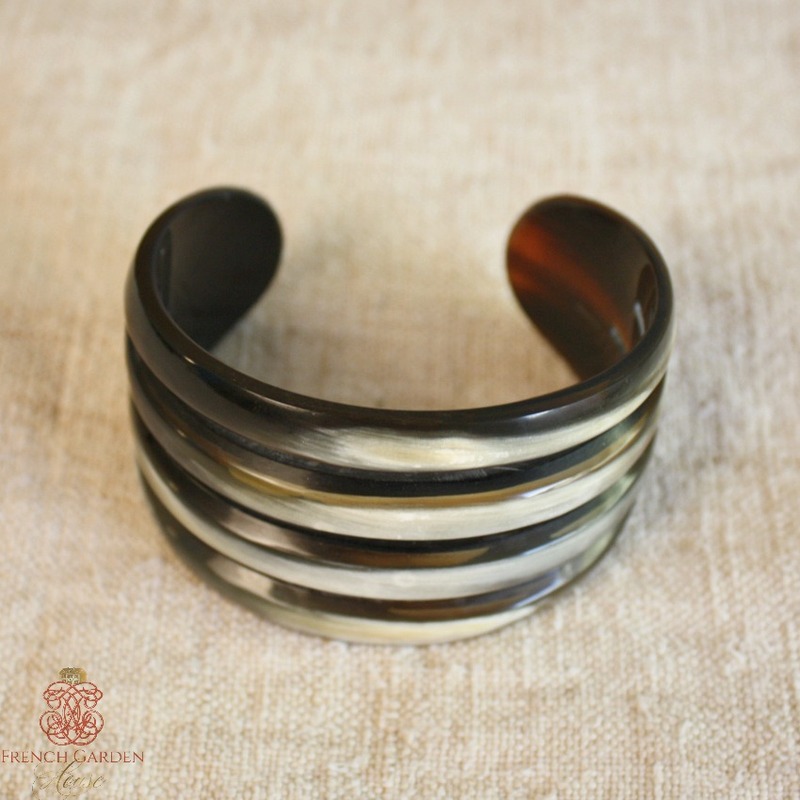 Luscious colors of caramel, cafe au lait, coffee and cream combine in this beautiful natural bracelet. Classic and at the same time contemporary, this is a beautiful addition to your collection of jewelry. The cuff is open ended. Fits my 7" wrist with room to spare. Measures 1~7/8" at the very top x 2~7/8".